Hiya friends, how's it going? 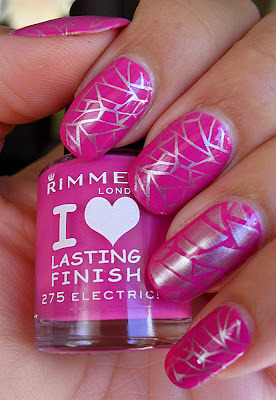 I have another mani for you, courtesy of Bundle Monster and my favourite pink at the moment. 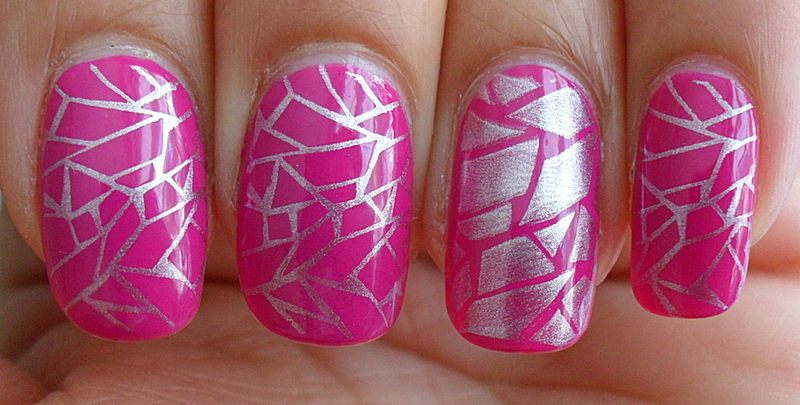 I used BM plate208- both images on my nails are on that plate. Don't worry about the cuticles - they are flooded with my top coat and I couldn't be bothered to clean up. Lazy girl. I love the design of the stamp. I need to get my hands on them...soon!!! I really like this! Those new BM plates are great! The plates ARE good. Much better than the old one's I think. Wow. 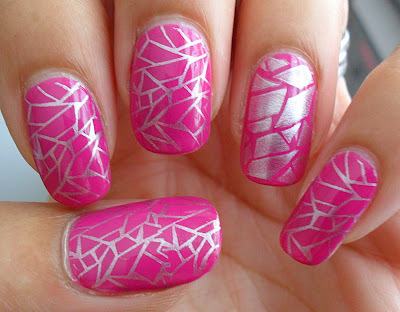 Such a stunning mani. May have to pop into the chemist on the way home to pick up this Rimmell. Usually I don't like pinks but that one is gorgeous. @Cat, I think the colour of this is accurate in the picture. It's a good pink to have I think.